Yield: Makes four 1 cup servings. 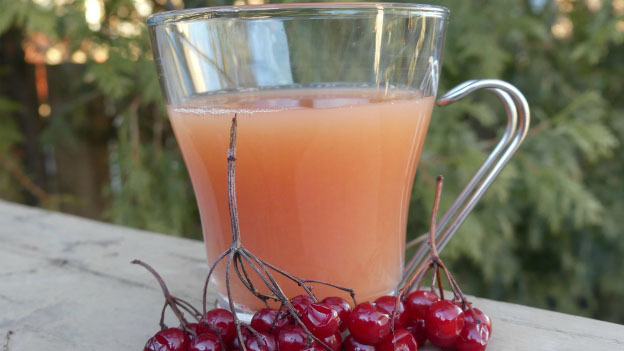 Highbush cranberries, orange juice and maple syrup makes for a tasty drink that leaves you wanting more. Gathering berries in the winter months is a great way to enjoy the fruits of winter foraging. Bring water to boil then turn stove off. Place the berries into the water and slightly mash. Let sit 30 minutes. After 30 minutes, thoroughly strain. Allow this cranberry liquid to thoroughly cool. Once cool, add the orange juice and maple syrup; stir. Store in fridge up to 5 days.